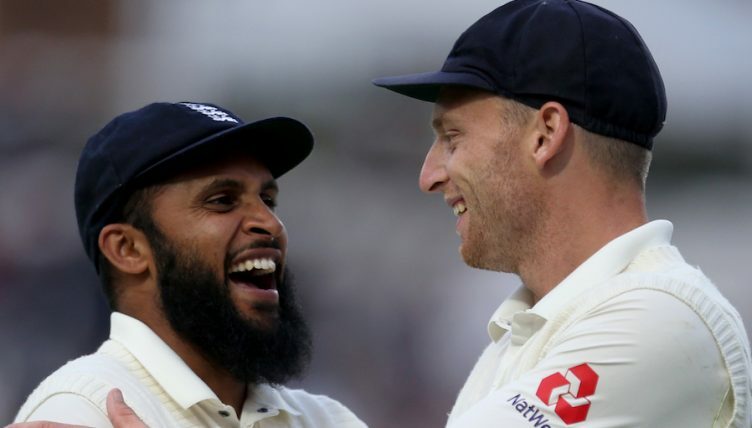 Yorkshire and England leg-spinner Adil Rashid has admitted that he would not like to see one of his teams involved in an incident such as the recent mankad involving Jos Buttler and Ravichandran Ashwin. Mankads remain vanishingly rare in cricket but in spite of this – or arguably because of it – are among the most divisive things that can happen in the world’s greatest sport. There are absolute zealots on both sides. Dave Tickner recently had his say on the issue, but obviously we brush him to one side for now in favour of somebody with a more qualified opinion. Just don’t tell him. “We don’t like to play our cricket like that,” Rashid said, speaking at Yorkshire’s 2019 media day. “That probably speaks for a lot of people as well out there, we don’t like to play cricket that way. By doing that, people might start calling you different names, they might start thinking differently about certain people. “We stay far from that, we don’t get involved in that and that’s obviously their business whoever did that so it’s nothing to do with us. But we wouldn’t do it. Is it something that batsman need to be aware of heading into this summer’s Cricket World Cup? Rash doesn’t think so. Is Adil surprised that Ashwin chose to do it? “I’ve not really made any note whether I’m surprised or not surprised. I saw it and thought ‘OK, maybe he shouldn’t have done that’, but that’s up to him. Will it happen again? Maybe in a World Cup match? “It should be good. It should be exciting, I think we’re all excited, all the players and the England fans are really excited because it’s on home soil as well. “We’re looking forward to it because we’ve got a good chance as well to go a long way with our team and with the squad that we’ve got. “It’s exciting when you play against anyone whether it’s the World Cup or not, or if it’s in a stadium against a certain team, it’s just another game. We take it a game at a time, you can’t be thinking too far ahead. Does he remember the last time the tournament was held in England, back in 1999? Rashid also offered an update on the state of his fitness on the back of a troublesome shoulder injury. “I’ll be back hopefully in a couple of weeks. So hopefully by the time England start the Pakistan series I’ll be raring to go. “I’ve signed a central contract with the ECB, so when I have to play Championship cricket I’ve got to play, so if I’m selected I’ll play. “Every year I think we can challenge for everything. In the Championship and in Twenty20 cricket we aim to take the competition seriously and not just rely on one competition. “So hopefully we can go further in the One-Day and the Twenty20, that’s our aim. We can’t just think about that though, we’ve got to make sure we put the effort it and take it a step at a time, a game at a time and we’ve got to make sure we enjoy it as well. Yorkshire could once again be the benefactors of their academy production line, with the likes of Harry Brook, Josh Shaw, Jack Shutt, Jared Warner, Matthew Waite and Jordan Thompson among those tipped for success with the White Rose. The key, Rashid says, is that they get opportunities. “There’s a few young players to look out for this season. We’ve got Brook coming through, Fish [Matthew Fisher] has been around, Shawy [Josh Shaw] has been around and Tatts [Jonny Tattersall] has come through. Could Brook, a 20-year-old top order batsman, follow in Joe Root’s footsteps and one day play for England?